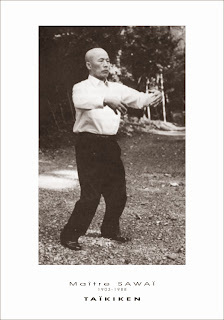 I have previously written about the ikkyo "projection" and how it compares to the throw or projection one finds in, say, xingyi (as an application of pi quan). In that article I noted various methods of ikkyo that I considered to be "mistakes" – and ways of making the projection more efficient, regardless of your school/style. However aikido practitioners will be aware that what is called "ikkyo" has 2 facets, namely the projection and a ground pin. It is the latter that I propose to cover briefly in this post. Before I go any further I want to make it clear that I am not averse to students learning the traditional ikkyo ground pin; it teaches some valuable lessons about locking the elbow, including the need to keep pressure at a point just behind the joint, perform a correct twist of the wrist and maintain the correct angle of the arm to the body. As a "first step" it isn't a bad lesson at all. However it is important to note that this "first lesson" is not a practical fighting technique. It is "high on principle, low on practicality". I have experimented over the years and found that it is nigh-on impossible to hold someone with an ikkyo ground pin if they don't want to be held. Even if they consent to being placed in the optimal position for you to hold them, they invariably manage to wiggle free or turn around to smack you with an elbow. 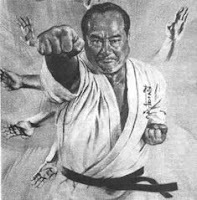 This is to say nothing of the difficulty in attaining the traditional ikkyo ground position to begin with: adrenaline and obstinate resistance conspire to make it very difficult indeed for someone to effect anything approaching an ikkyo ground pin - ie. with your opponent flat on his/her stomach, their arm stretched out to the side. Yes, it is possible to hold someone using such a pin – but your technique must be pretty much perfect. And even then, I'm not sure you'll be able to maintain that position for very long - even in the most optimal position. 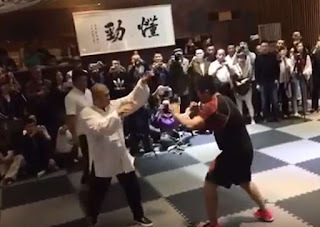 As a matter of interest, that optimal position is as follows: your opponent's arm must be out at more than 90 degrees, one of your knees must be pushed right into your opponent's armpit and the other must be right up against their forearm. Your opponent's elbow must be held absolutely flat by applying pressure at a point just behind the joint. The wrist can be twisted around and towards your opponent to add a lever factor to the lock. I was beastly careless about my standard ikkyo form in the video, so please understand that I am aware of these details - I just haven't found that they make enough difference to a resistant opponent! They are important however to understanding broader principles and effect other locks substantially. So what are the issues with ikkyo? A video in which I discuss, among other things, the ikkyo ground pin (see from 3:30 onwards – video set to start at the correct point). Well first, you'll note from my article "Elbow locks: Part 1", maintaining any sort of lock on the elbow with one's palm is problematic. I won't go into the reasons again here; I'll leave it to you to read that article. For the present purposes it suffices for me to note that palm pressure is a very poor way of locking someone's elbow. The second issue is that it is extremely hard to attain the necessary position (ie. an arm outstretched on the floor) in a resistant environment. People are continually moving their arms, bending and alternately straightening. In order to trap and control a limb, you generally need some larger body part to be employed in the lock (eg. the legs, both arms pulling the elbow in a juji gatame etc.) in a way that traps the arm, then uses the whole body to torque it straight. Using just your palms against a slippery, writhing arm is very hit and miss. You might make be able it work – but you'd have to have reflexes and technique second to none. The third issue flows directly from the previous ones: in order to hold a person solidly on the ground, you generally need to employ your full bodyweight. Yes, it might be argued that you can channel your bodyweight through your arms. 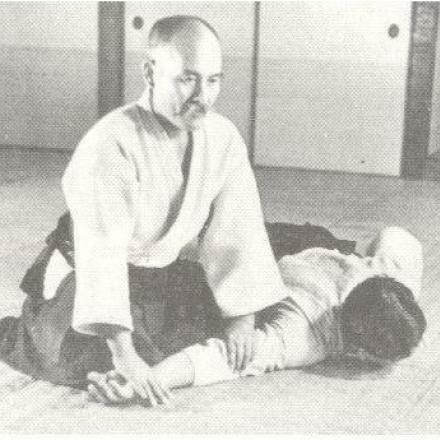 But the truth of the matter is that in the traditional ikkyo ground pin your bodyweight is raised and supported at at least four (more accurately 6) points – only one of which is directly controlling a "pinning point" (your partner's elbow) and only one other of which is even touching the body (the wrist twist lever). By contrast, in my experience, any ground technique requires a degree of body-to-body contact, with your centre of gravity kept low and centred directly over the relevant "pinning point". The ikkyo ground pin does not meet these requirements. So what should you do if you want to hold someone with an "ikkyo-like" pin? For the purposes of this article, I'm going to assume that you've effected the ikkyo projection and taken your opponent to the ground, face first. I'm also going to assume that you want to effect an "ikkyo-like" hold – namely one that teaches more or less the same "lessons" but offers a more practical ground pin. 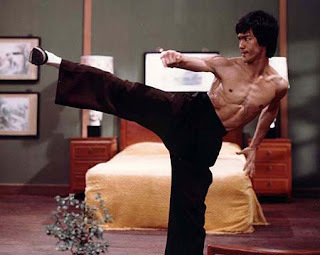 Essentially, my suggestion is that you take your bodyweight directly into your opponent – not to the side. Instead of kneeling next to your opponent, I suggest you kneel directly on him/her. For this purpose you should put one knee directly into the back of the shoulder joint, the other in a crouch next to it. 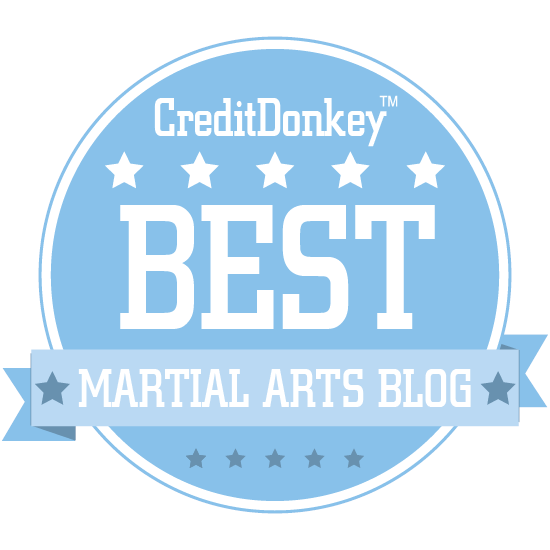 This direct body-to-body weight is vital in keeping your opponent securely pinned the floor. Your opponent's elbow can then be locked straight with support from both your legs (as shown in the adjacent picture) and the standard wrist wist can then be employed to add more lever factor (and pain!) to the hold. You'll note that having the arm raised more or less above the shoulder means that any pressure exerted by twisting the wrist around and down will spiral into the same point on the ground. In other words, you won't be spreading your weight over "non-pinning" areas. Not only is this stronger than the standard ikkyo pin, but it is also requires less energy to hold. This means you can hold your opponent for longer – which is precisely what you might wish to do if you're waiting for the police etc. Last, but not least, my suggested "ikkyo pin" permits an easy transition to a standing posture in case your opponent has accomplices. The need to be mobile is paramount in any street confrontation and I can't see that this objective is achieved by a full kneeling posture - particularly in the case of most Westerners, but regardless of your flexibility and strength in that position. Another version I've seen is the removal of the hands entirely and applying a body friction grip by putting their arm between your thigh and torso. You sandwich the arm using your body weight and use your arms for something else. Like sword jutsus. If you apply the two of the nage's arms on the uke's arm, and use it as a spring to basically vault off the ground and roll forward or sideways, you would get a positional change while at the same time applying maximum pressure for a few moments. Not a finishing move, but simply one where you make someone move and then use them as a launching point to then move yourself in another direction. The rolling will then get you upright. Yes, that's true Ymar. I pause for a moment in one demo where I momentarily thought I'd illustrate how this could be done, but I ended up not showing it. Dan, which one did you think about illustrating? When they were introducing joint breaking for TFT, the goal was to explosively set the leverage so that the enemy's body anatomy collapses in as short a time as possible, removing counters or struggling from the equation. If you have time to scoot your knee near someone's arm and push it on with your hands, you could have just as easily dropped your knee on the top of his elbow without the need to rotate the wrist in 3d. If the elbow is aligned differently, then you just scoot the knee into it from a different angle. So long as the lever arm is set and the leverage point is supplied power, time efficiency is achieved. However, in order to produce results in training for new people, the force due to mass times acceleration had to either take a dip in the mass or take a dip in the acceleration. In this case, removing the speed decreased both. 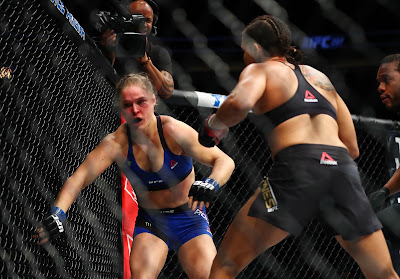 Generally speaking, direct linear breaks are much more time efficient than the harder method of controlling, not harming, an opponent through pins and full body joint locks. 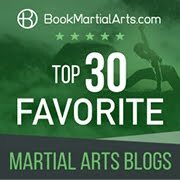 The training methods come out much closer to what you are doing than what other martial artists that focus on joint locking, do for their training of students. It seems the Japanese did not focus much on such methods, since the samurai chiefly valued their weapons. H2H was a backup or a support, to allow the weapon to be given time to deploy or to prevent the enemy from disarming one's weapon. 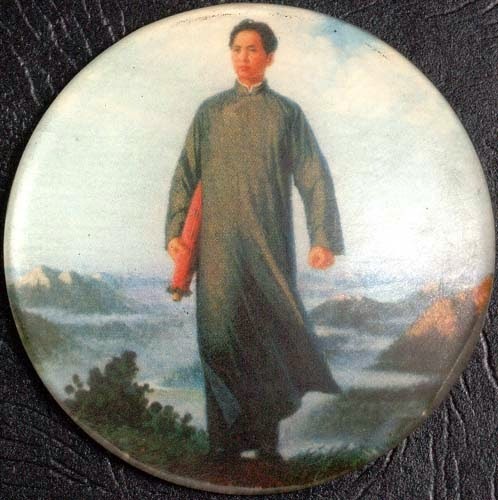 It was a significantly different point of view than Chinese fighters from 500 BC where the aim of swordmanship wasn't to put all offensive power into the sword, but to focus more on body balance and efficient movements. 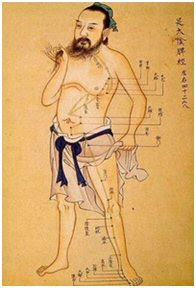 If Japan had 500-1000 more years to hone kenjutsu, without the introduction of firearms, they probably would have duplicated the Chinese ancient knowledge in their own fashion. I was thinking of using a sharp, ballistic action that results from his arm (trapped between my legs) snapping due to the force of his forward fall and the speed of my step up that puts my legs in place. I remember a brown belt doing something like that in a bar because he was drunk and fighting. He sort of fell on top of the locked elbow after an ikkyo. 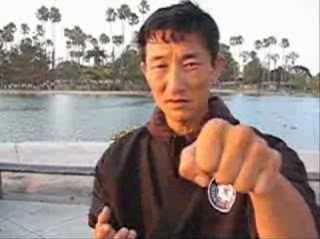 His dojo master kicked him out because he showed careless disregard for the traditional knowledge, I believe. Although I also think the mistake was partially because the guy was operating on auto pilot and had not been trained to realize the power of body weight when it came to leveraging joints. All too easy a break to make, whereas a lot of aikido techniques look and feel difficult/complicated because it seeks to prevent a break. It was seen as very humanitarian compared to the old combat arts. While it was very simple to turn from a direct linear combat application to a softer, non harmful joint lock methodology for police and bars, I'm not so sure it will be as easy going the other way. Because the stakes are not as high or as lethal, people can get away with sloppy leverages enough times that they start to think the whole world works like that.